Last Saturday saw both of Pomborneit’s senior teams just needing to win to make finals. We were both level on points with our opponents. Making both games virtual finals. The winner of the Division 1 clash between Noorat and Pomborneit at the Pomborneit Recreation Reserve would progress to the finals, likewise for the Division 3 game between Pomborneit and Woorndoo up at Woorndoo. This season I dropped back from Division 1 cricket at the suggestion of our new club captain, to go back and captain our 2nd XI in Division 3. My bowling and fielding were still useful enough for the ones but two poor years with the bat had been the reason for the tap on the shoulder for a 37 year old veteran. Was confident going in to the final round game. A quirk of the draw had seen us play up at Woorndoo 3 weeks ago, winning well. I originally wasn’t going to play that day as I had a wedding in Torquay. but as a fair portion of our Division 1 team was at the wedding I ended up playing so we could field a team. Planning to leave at 3.30, a freak run out saw me dismissed at 4pm for 64. Sometimes the harder you try to get out sees you hit the ball amazingly well. We made it to the reception 5 minutes before the bridal party entered the room. I lose the toss and we are sent in. Feel in good touch as I take 8 from the opening over. Seeing the ball well. Last ball of the 2nd over the bowler sends down a full toss on leg stump. Hit it low and crisp. Straight to square leg. Out for 10, we are 1/15 off 2. Plenty of faith in the rest of team to get us a good score today. A combination of good bowling and a couple of awful shots from top order players and all of a sudden we are 6/50. Eventually all out for just 76. Cricket has so many tales of low scores like 76 winning. This isn’t one of them. Woorndoo are three down as they pass our score. Flag hopes in tatters, cricket all over in the first week of March, far too early. Our Division 1 team lose as well, though they put up much more of a fight than we did. Would love to hear stories from any Almanackers involved in cricket finals. I know Andrew Gigacz has already played in one flag with Clifton Hill’s over 40’s team and is a chance for another with their 3rd XI. I’m so jealous. Good luck to everyone, especially fellow Almanackers as they commence or continue finals. As for me I’ve got a house that has 6 months of neglected maintenance jobs to catch up on, a wife to reintroduce myself to, more time for my kids and my job and a whole off-season to stew over my dismissals, captaincy moves, failure to make finals and missing out on a now sold out Port Fairy Folk Festival. 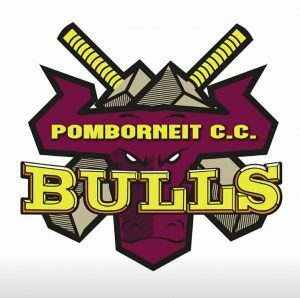 Go Pomborneit Bulls in 2017/18!! That’s a shame, Luke. All out for 76 is always a tough ask to come back from. I really liked the image (not the idea) of you getting the tap on the shoulder about stepping away from Division 1. Better luck next season. Luke, you need to bottle this inclination *now*. I’ll take a crate of the stuff. As, I’m sure, would Mitch Marsh. I played in four senior cricket grand finals and lost the lot, often from first place. A Kapunda side once needed only twelve to win with five wickets in hand. They lost by eight runs. I reckon you’ll be imparting lots of wisdom to your charges for a few years yet. I am sure the 2nds benefitted from your experience and wisdom. This is the first season in 40 years that I did not pull on the whites. I missed it some days, but for the most part I was happy to move on. idea of playing a few games next season. Roll on 2017/18. a 6th wicket partnership of 170. He made a fine 110, I got 76. Just when I thought I was out, they drag me back in! Smokie, it can be tough to let go. In my case, my knees made the decision for me. Much empathy with this tale Luke. I played for a club that specialised in losing semi-finals. Those bloody leg stump full tosses will get you every time!